Welcome to Canyon Creek Little League’s field reservation system. This service is not intended to replace the currently published League practice and game schedules. Instead, it is meant to provide managers a means to add extra practice time to their team’s existing schedule. Assignment of specific fields and time slots is at the sole discretion of the Board of Directors. ANY team at ANY time can have their schedule cancelled and or adjusted based on priority needs of the League. In the event that a team is forced to give up their field, every effort will be made to find an alternative. This may require other teams within the League to share space. If no space is available, a team may be required to forfeit that days field use. Reservations for extra practices may only be made up to 2 weeks in advance. Managers wanting to take advantage of additional field time can do so by following the links below. You can then reserve “available” time slots on fields contracted by Canyon Creek Little League. Reservations are in two hour blocks. Once you have made your selection, it will be added to the League's request queue for review. You will receive an email confirmation within 48-72 hours. Only managers will be allowed to reserve fields for their respective teams. Coaches wanting to schedule extra practice time must do so through their team’s manager. Managers will be allowed to reserve fields no more than two weeks in advance on a first come first serve basis. Managers may have no more than one extra practice scheduled at any given time. 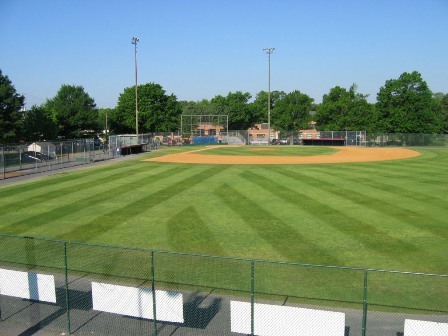 After using the reserved field, a manager may submit another field reservation request. The League will be monitoring reservation activity and field usage. Managers who reserve a field but who do not practice, may have their reservation privileges suspended. Managers attempting to reserve fields in lieu of their regularly scheduled practices, may have their reservation privileges suspended or revoked. Using the drop down menu, select your division. Using the drop down menu, select your team. Enter the date you would like to reserve a facility. Key in the start time for wyou would like to utilize the facility. Key in your contact phone number. STOP! Review your reservation and ensure that it is correct. A confirmation email will be sent to you verifying that your reservation request has been granted usually within 24-48 hours. In order to avoid conflicts or confusion, you should print it out and take it with you to practice. To cancel a reservation, forward the reservation confirmation email you received to stating that you want to cancel the practice time. The reservation will be cancelled and the on-line schedule updated within 48 hours.